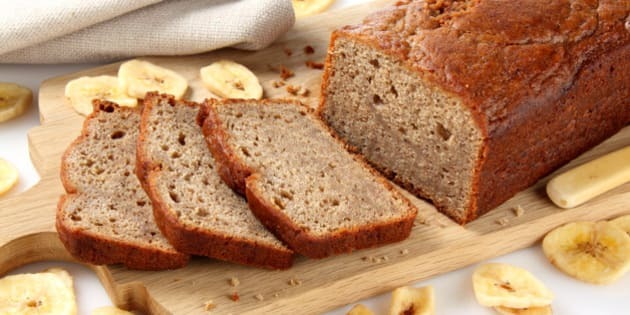 I went through this phase where I baked the most simple, one-bowl-baking, f*ck up proof banana bread recipes, just so there was a sweet floating smell that took over my home before friends came over. It made me very popular ... and fat. Every home has a smell. If you spend a lot of time inside your home you probably don't notice it since your nostrils are used to it. But people that visit your home know whether it's a good or bad smell. No one wants to hang out in a home that carries an odour of stinky tofu, which is the exact translation of the notorious Chinese dish chòudòufu. I still remember when I lived in Shanghai over a decade ago, my roommate brought home this stinky tofu dish and that strong offending smell lingered on for three solid days! Even matches couldn't mask the smell and matches mask everything! For some reason, my roommate wasn't bothered by it. Was it because his nose had grown accustomed to a food that smelled of aged sewage? I think so. Screw air-fresheners to fix the smelly home problem, they release hazardous chemicals that are ingested by our bodies. You know what doesn't cause diarrhea and earaches? Tempting scents of food. Foods that leave wafting smells of goodness that move beyond the kitchen. What are these tempting scented foods? Why do we love the smell of baking? "The smell of baked goods was the number one odour that made people nostalgic for their childhood ... In times of difficulty or distress, targeting our sense of smell is the quickest way to alter our emotional state," says Hannah Briggs, BBC Foods. Don Brushett from LifeHacker says, "The smell of baking bread is from compounds produced when a sugar reacts with a protein in what is called a Maillard reaction." Long story short: With the right amount of heat, moisture, and time, those specific sugars and proteins will act like a couple of lust-drunk lovers making out in the back of a Chevy, rapidly becoming a tangled, hot mess, until, nine months later, a whole new creation emerges. Except that with the proteins and sugars, it takes minutes, not months, and instead of a child, the result is an increasingly complex array of flavor and aroma molecules. For me, bringing that bakery smell home is rewarding and comforting. Like baking, the smell of cinnamon gives us a sense of warmth and comfort. Why do we love the smell of bacon? Meaty, salty, delicious and decadent -- that's why. It's almost arousing. Everybody loves the smell of bacon, even vegetarians and vegans because a good smell is a good smell, regardless of your personal values. The more scientific version of why we love the smell of bacon is a combination of the Maillard reaction, the nitrates in bacon fat that are released when heated, the sound of sizzling bacon and the fact the we associate bacon with brunch, weekends and good times. Why do we love the smell of garlic? Garlic contains naturally occurring compounds that are released when crushed, giving it a dominant smell and taste. With the smell of sauteed garlic we automatically think of delicious dishes. It's a flavour enhancer that works in every savoury dish. The smell of cooking with garlic might even make you think you're somewhat of a Massimo Bottura -- don't all Italian chefs use generous amounts of garlic in their cooking? Or is that a stereotype? Why do we love the smell of coffee? There are well over 900 compounds that are created during the roasting process of coffee, which is how so many scents are developed, making coffee a universally appealing smell. A particular friend of mine that doesn't drink coffee describes the smell of it as making her feel less stressed in life. All of the above mentioned foods produce a combinations of chemical compounds that give off different aromas which trigger a happy state of mind. Essentially, these foods are mood boosters, while also supporting the idea that how we experience food is a multi-sensory experience.